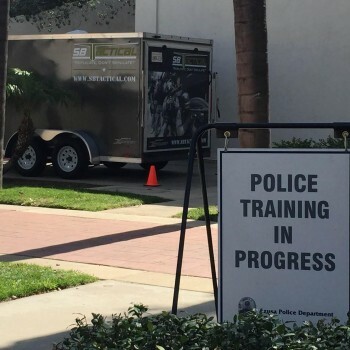 At SBTactical, we take active shooter response training extremely seriously. We understand how alarming the rise of active shooter incidents has become and we are here to help. This rise of active shooter incidents in the United States has gained everyone’s attention from worried parents, scared students, cautious employees and even President Obama. The world is taking notice and people are not feeling as safe as they used to. According to the FBI, and the“A Study of Active Shooter Incidents in the United States Between 2000 and 2013,” there have been a total of 160 active shooter incidents in the U.S. from 2000 – 2013. This means an average of 11.4 incidents per year, translating to one active shooter incident per month, resulting in 1,043 people killed or wounded during this period. 1. Active shooter situations happen in a very short amount of time with the majority of casualties taken in first 2-5 minutes. This leaves very little time for specialized units to respond. 2. 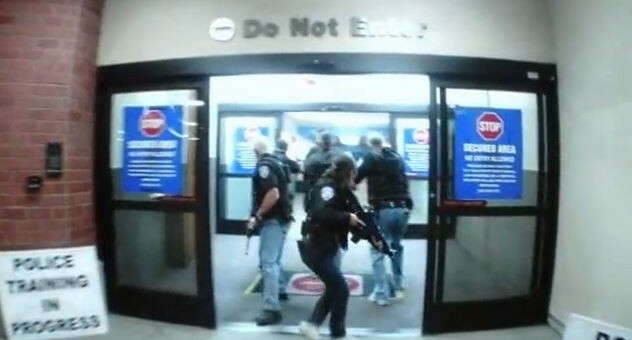 Active Shooter incidents often end before police arrive. In at least 40% of the shootings, citizen engagement or the shooter committing suicide ended the shooting at the scene before law enforcement arrived. 3. 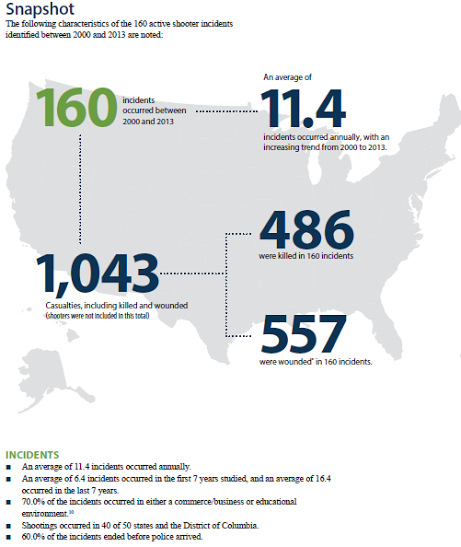 160 active shooter incidents have occurred between 2000-2013, and of those 160, 70% occurred in either a commerce/business or educational environment. 4. Shootings occurred in 40 of the 50 states and the District of Columbia, proving no person or community is immune to this kind of attack. 5. 60% of the incidents ended before the police arrived, which is something we are trying to improve. Each government entity, business and school and law enforcement agency have different characteristics. Ranging from different location to types of buildings, employees, students, and levels of access granted at each location. These are key aspects in reacting and responding to emergency situations and should be the focus when determining methods for deterring and defending against an active shooter. SBTactical provides law enforcement agencies with the most advanced stress based, force on force training system available – iCOMBAT. We offer the iCOMBAT training system to departments for purchase as well as on a rental basis. Our industry unique Mobile Training Program will minimize administrative time and maximize valuable training hours. The iCOMBAT training system is ideal for law enforcement agencies that are honing their response tactics to active shooter situations. iCOMBAT’s ease of use, cost efficiency and train anywhere, anytime versatility will allow for you to incorporate role players, dispatchers, administrators and most importantly fire and rescue teams without risk. No projectiles, makes it safe to both personnel and the training environment. 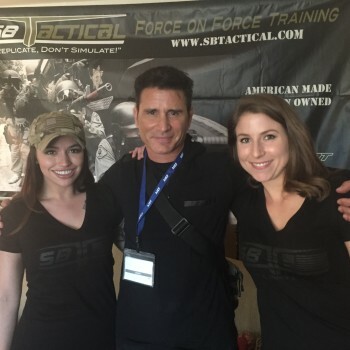 SBTactical is not just for law enforcement, we work with civilian organizations as well. If you are the head of a corporation, church, private venue, etc. SBTactical offers a 4 hour course at your location focusing on employee active shooter response techniques. Utilizing the most of effective training methods available, employees will stay engaged and participate throughout the course. Training and education can save lives. We want to help you stay prepared. Please contact us today to set up an iCOMBAT equipment demonstration or to learn more about our civilian training course. Below is a video of SBTactical and the Burbank Airport Police conducted Multi-Agency Active Shooter Training inside the Bob Hope Airport terminal utilizing iCOMBAT training weapon systems. Click here to read the full, “A Study of Active Shooter Incidents in the United States Between 2000 and 2013” DOJ/FBI report.